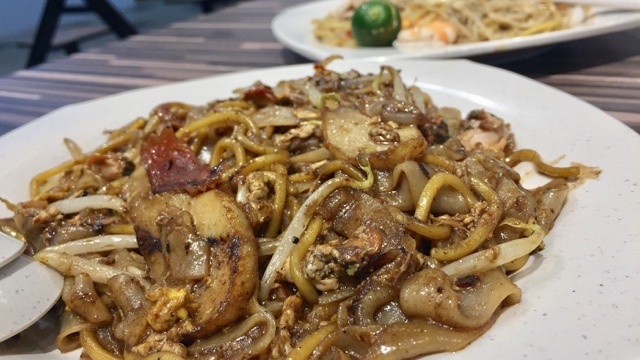 Delicious Hokkien Mee and Char Kway Teow in Punggol! My sister was over the moon when she excitedly told me that a new coffeeshop has opened in Punggol and one of the stalls serves Hokkien Mee, with generous amount of fatty pork, sotongs and prawns, cooked in thick yummy stock. It is sold for S$4, S$5 and S$6. 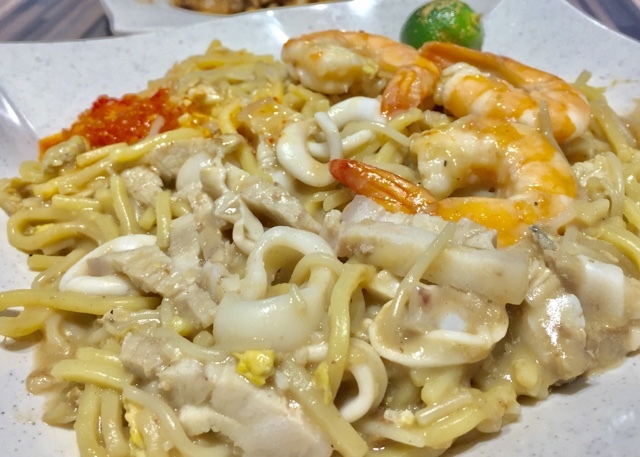 This picture is a close up shot of the Hokkien Mee. I wanted to capture the fact that the dish is not dry yet not wet. Can you see that every strand of noodle and ingredient has been coated with a slightly thick delicious gravy? I could taste that the gravy has been reduced from a broth that has been cooked with seafood for hours. The Wok Hei is definitely evident. The stall does not serve the usual Hokkien Mee chilli which is slightly sweet. Instead, it serves one of the best chilli I have ever tasted - sharp, hot, sour, perfect for anything cooked with seafood. 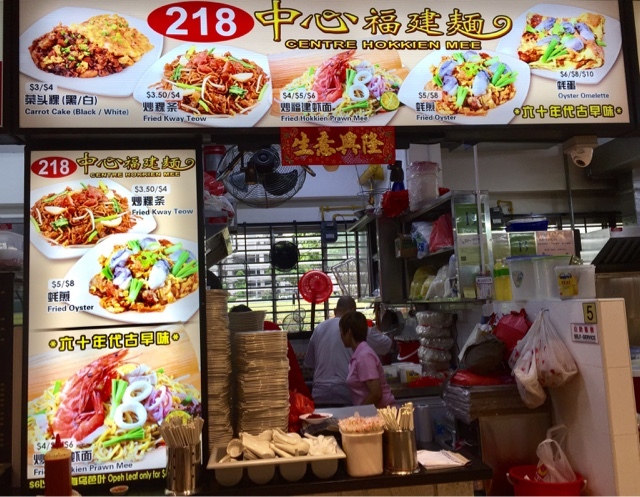 Punggol residents can now travel a short distance to satisfy their Hokkien Mee cravings. 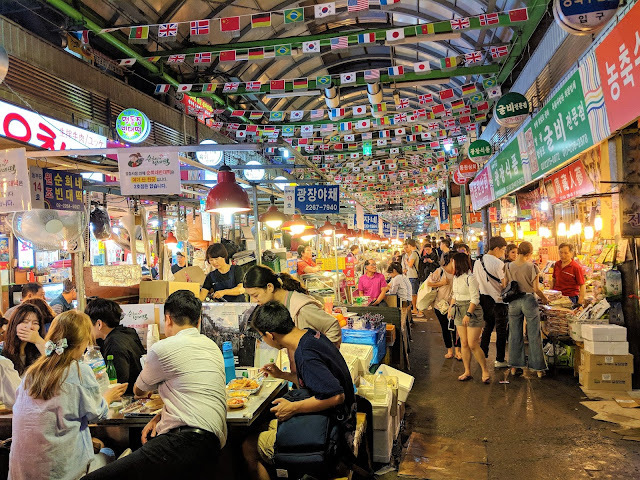 As compared to other stalls that I have eaten from, the amount of ingredients is considered generous. Check out the picture - the prawns are not puny ones or cut into half, they are quite big. We always share the combo - Hokkien Mee and Char Kway Teow. The Char Kway Teow is a plate of decadent indulgence. The fragrance of the pork lard, combined with the sweetness of the Chinese Sausages and dark soya sauce, and bits of soft eggs, makes this a mouth watering dish. I especially enjoyed the sensation of clams bursting in my mouth, with its juices mixed with the sweet, spicy, salty kway teow. Sedap! I found 5 or 6 clams! Amazingly, the chefs are the two gentlemen who have grown in wisdom, age and still going strong! 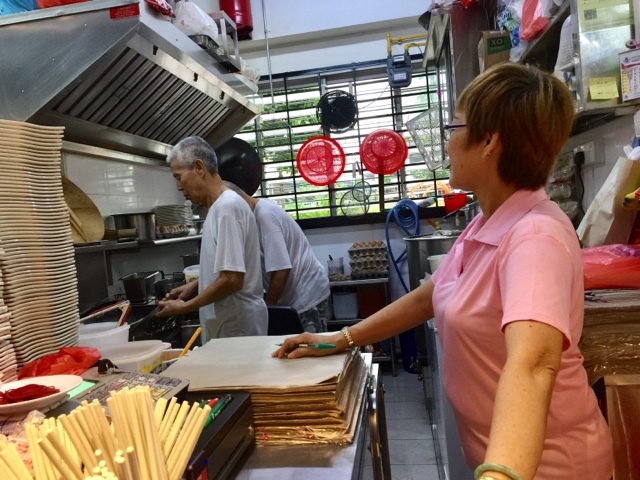 One of them is in charge of the Hokkien Mee while the other specialises in Char Kway Teow. Ms Pink Polo Tee will take your order, take your money and give you a buzzer. 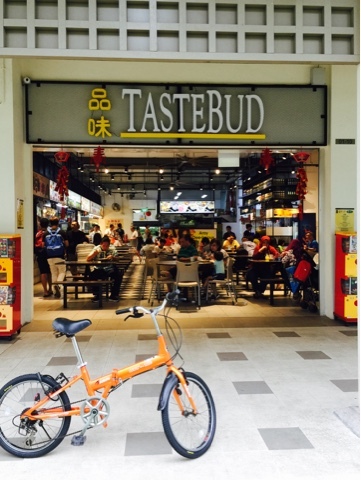 Tastebud coffeeshop also serves BBQ Chicken Wings, Vegetarian Food, Roasted Meat, Halal Western Food, Cai Fan and Thai Food. The Thai Food looks really promising too. Punggol folks, one more delicious addition to your already happening neighbourhood!